At 7pm, musician turned artiste manager Chagga stepped on stage of Roast & Rhyme. He wowed the crowd with several of his old time hits, and even had Chameleone make a surprise appearance to perform their collabo, “Tobesiga”. 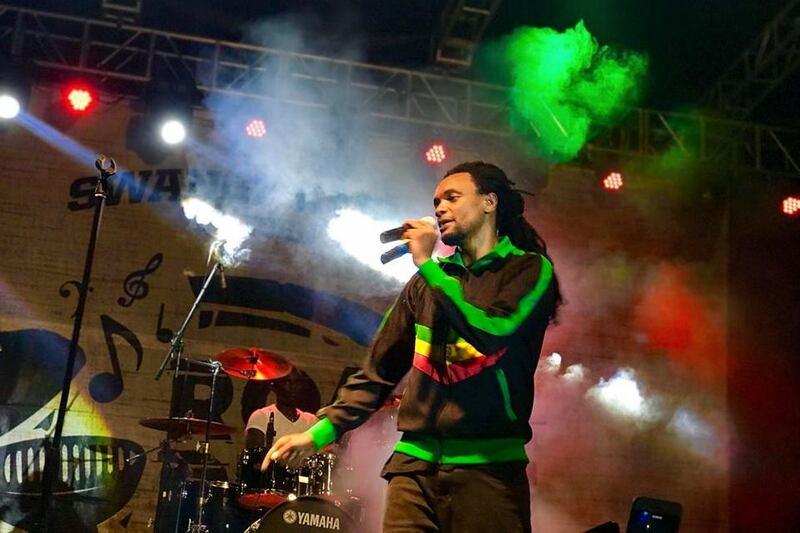 Sensational rapper Fefe Bussi then stepped up the tempo and thrilled the audience with his hit songs that included, his latest songs like “Iddi Amin Dada”, “Yes/No” and “Business” just to mention a few. 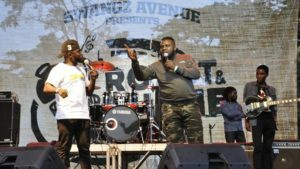 The 7th edition of Roast & Rhyme went down on Sunday at its home, Jahazi Pier in Munyonyo. 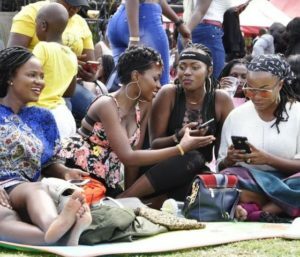 Dubbed “Story Tellers” edition, the event attracted a host of revelers who enjoyed a rich live music experience as they feasted on their nyama choma and washed it down with liquor. To open up the music performances was Aka dope band who did a rendition of several classic hits, before paving way for rapper The Mith. This was followed by a session of laughter as Madrat & Chikko took over the stage. They cracked up the crowd with their comical skits. To crown the day, Jamal stepped on stage at around 8 pm amid cheers from the excited crowd. He had the crowd dancing, in a performance that lasted close to an hour, as he sang some of his hit songs like “Omusomesa”, “Abakyala Bazira”, “Love Teri fair”, and “Nga Olabye” and many other songs. Meanwhile, the kids were not left out in the fun of the day at Roast & Rhyme as a special playing area filled with bouncing castles was set up for them.